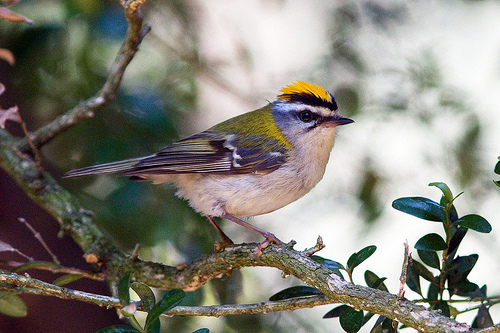 The Firecrest is much more rare in western Europe than the Goldcrest. The two species resemble each other, but the Firecrest has an extra white eyestripe, giving it a much more expressive look. 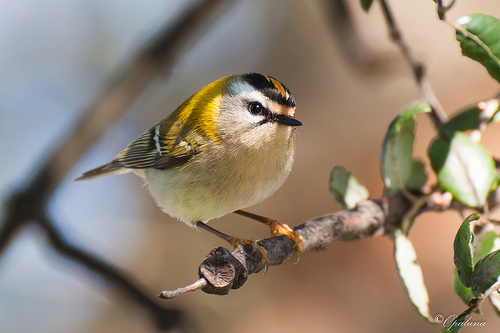 The Firecrest is characterized by an additional white eyestripe. As a result, it looks more colourful than the Goldcrest.